I had wanted to go to Makaranga ever since I first saw photos of it on a friend’s FaceBook page and although we made a first attempt earlier this month we didn’t quite make it so were determined to get there this time around. 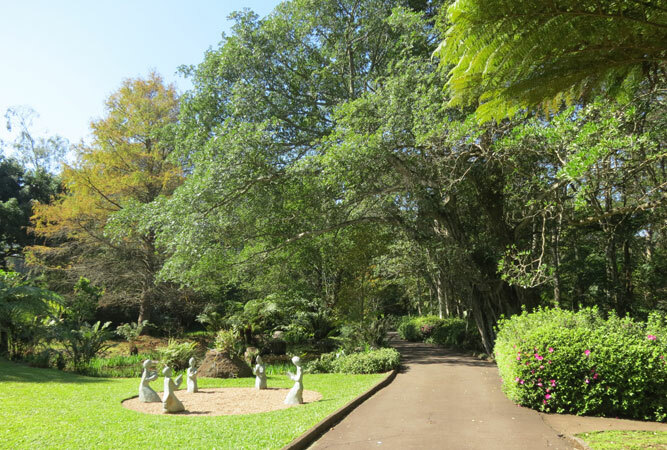 Located in the KwaZulu Natal suburb of Kloof, the main attraction at the 30 acre property (named Makaranga after the wild poplar trees and a Zimbabwean tribe of the same name) are the simply stunning gardens. 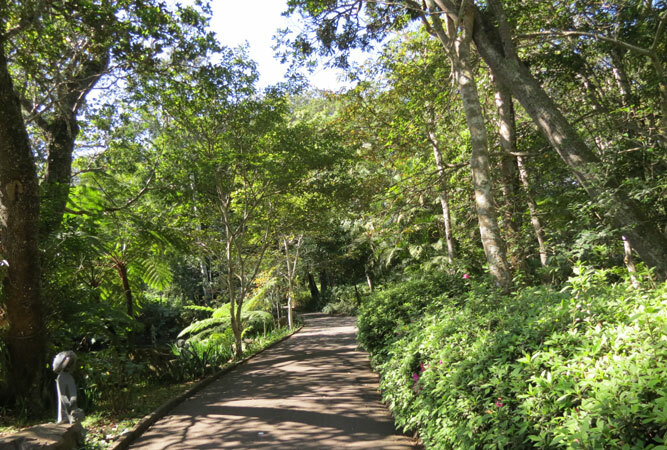 We took our shoes off and strolled barefoot around the gardens for at least an hour – following the wheelchair friendly paths that wind their way through this special place. It was wonderful to feel the different sensations as we made our way around the gardens; grass in some parts, cool, water drenched moss in one part and paths of fallen leaves in others! 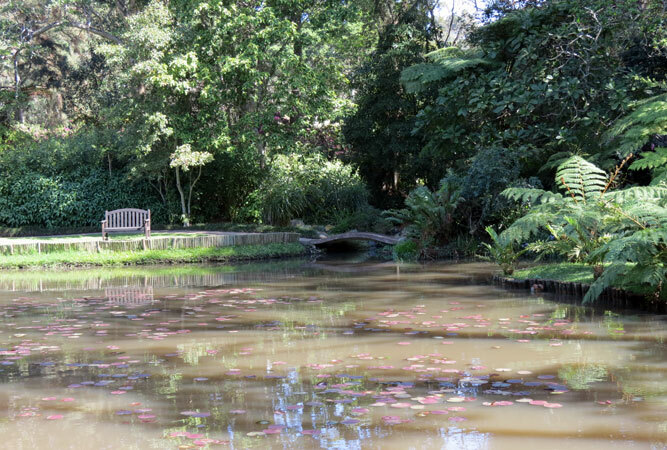 The gardens are home to 18 ponds which include the Venus Pond and Long Pond and there is also a small waterfall which runs into a stream. 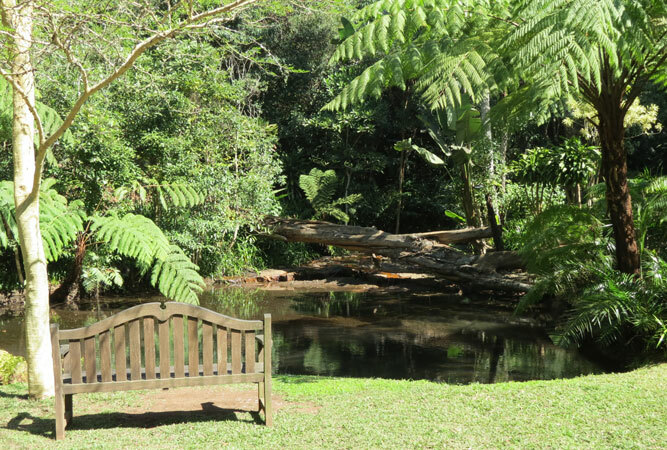 Benches are strategically placed along the path and in quiet, secluded spots; perfect to sit and unwind in the sunshine. There is also a beautiful, authentic Japanese garden which has bridges, walkways and hand carved figures which have all been both imported from Japan and set out according to ancient tradition. 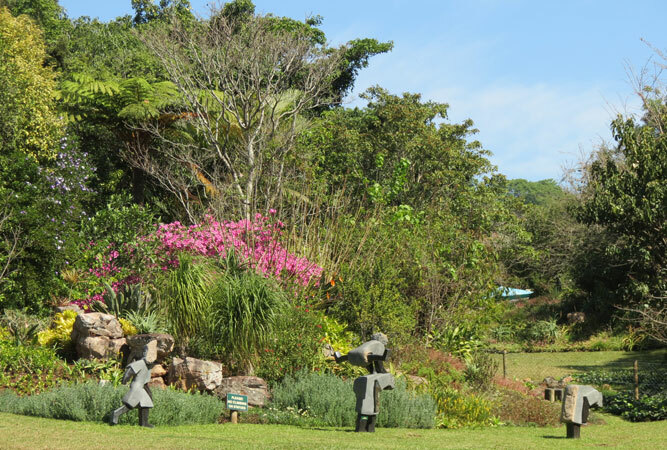 I really enjoyed the statues that are found throughout the gardens, in particular those by a Zimbabwean artist. 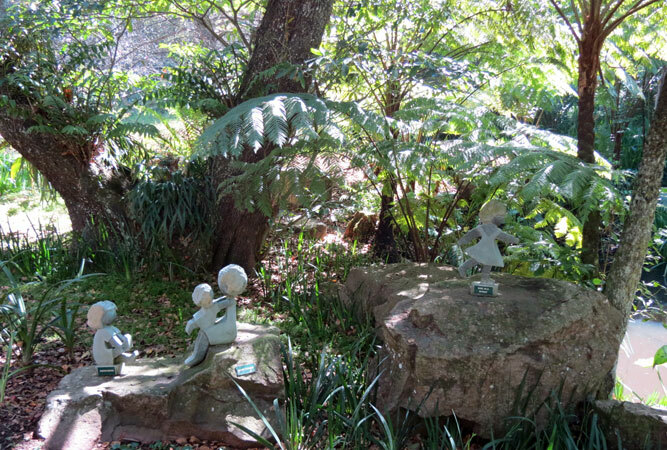 The hand carved statues are in all shapes and sizes, from a relatively small piece found tucked in between plants to some that are over a metre high and show children playing leap frog! They were all so interesting and a wonderful feature of the garden. 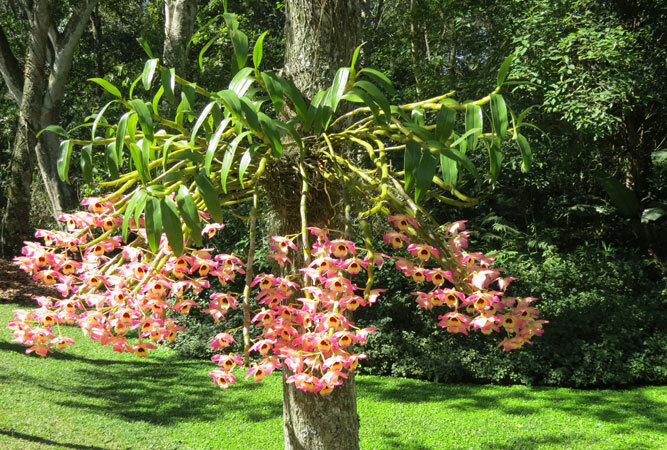 Makaranga has a stunning selection of both rare and exotic species of orchid, examples of which can be seen flowering beautifully … I seriously lack any kind of green finger so to see these beauties was inspiring! There is a wonderful bistro on site (booking essential over weekends) and you can also purchase picnic fare to enjoy in the gardens. Blankets, baskets and umbrellas are available for hire to make your picnic perfect … simply choose a spot on the grass or under a shady tree and while away an afternoon! Makaranga is delightful and I am so pleased we made the effort to get there this past weekend. We will definitely be back to try out the bistro .. or perhaps hire a blanket and picnic basket. Entrance is per vehicle but there is no entrance charge if you are dining at the bistro.